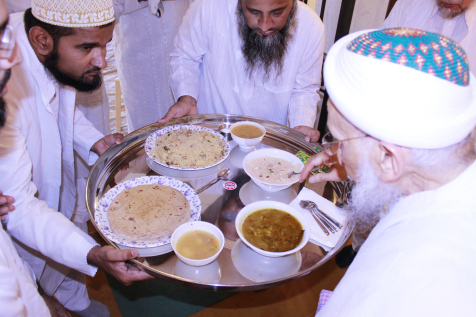 Syedna Qutbuddin TUS presided over Khatmul Quran Majlis on the eve of the 17th, 18th and 19th of Rajab. 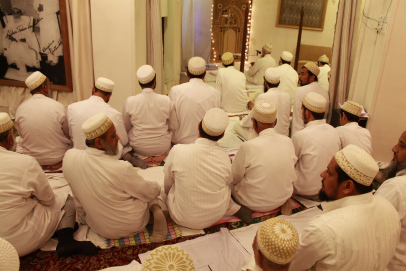 Qasidas and saalams were recited. 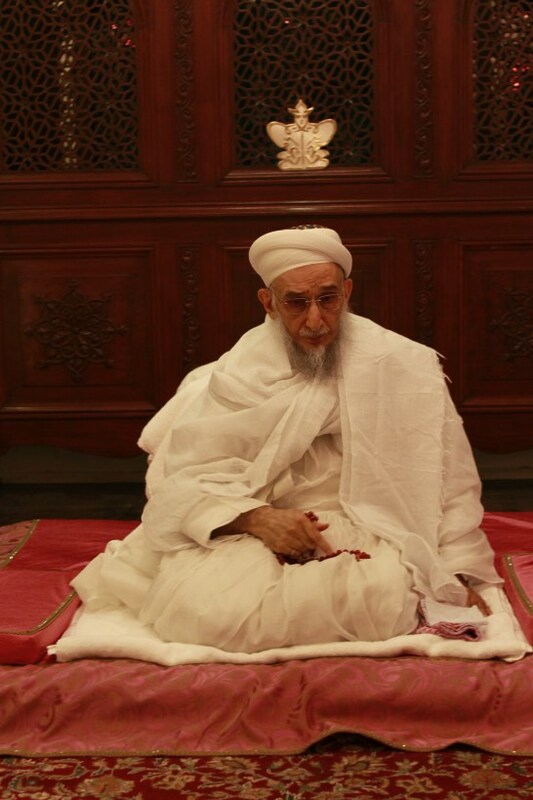 On the 19th of Rajab, after Khatmul Quran and Sadaqalla tilawat, those fortunate to be present in Syedna’s hazrat received the barakat of listening to an entire waaz by Syedna Taher Saifuddin. 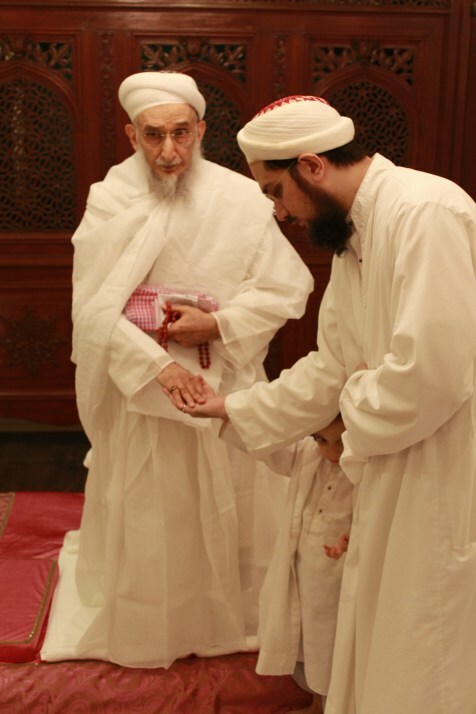 This was indeed a unique and memorable event. 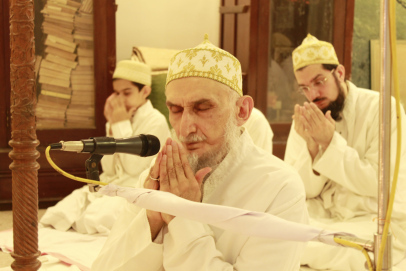 The whole day we felt in the presence of Syedna Taher Saifuddin, listening to his bayaan, look at his most beloved son, and remembering his ehsaans. 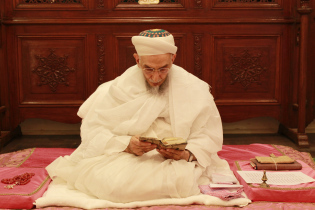 After the waaz was complete Syedna Qutbuddin stated that this is ‘ibda’i (heavenly) fayz of an ibda’i Dai that makes its listeners and receivers ibda’i’. 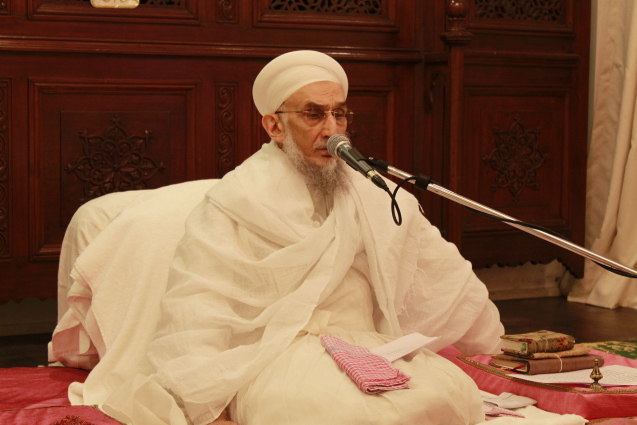 Syedna Qutbuddin also recounted several instances in which Maulana al-Muqaddas revealed his nazaraat on him. 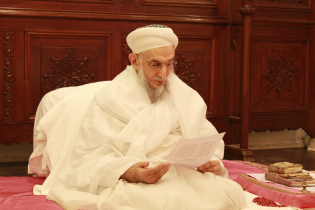 In one instance, Syedna Taher Saifuddin came into Busaheba Aamena aaisaheba’s room where family members were listening to a recording of Syedna Qutbuddin’s waaz. 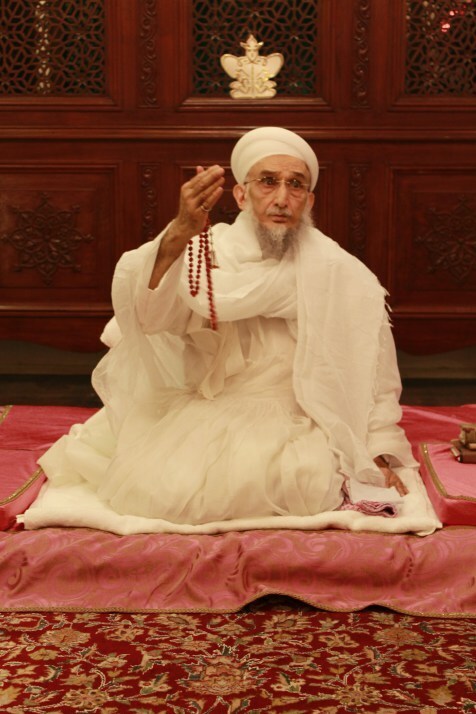 Syedna entered the room and spontaneously asked who is listening to my waaz.